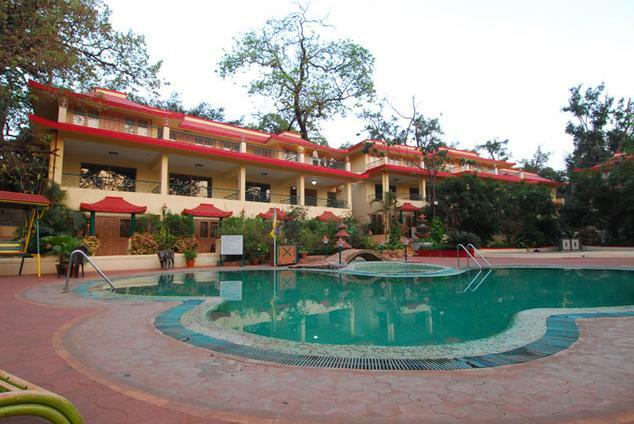 Adomo Resort is a very popular tourist stay destination in the hill station of Matheran. 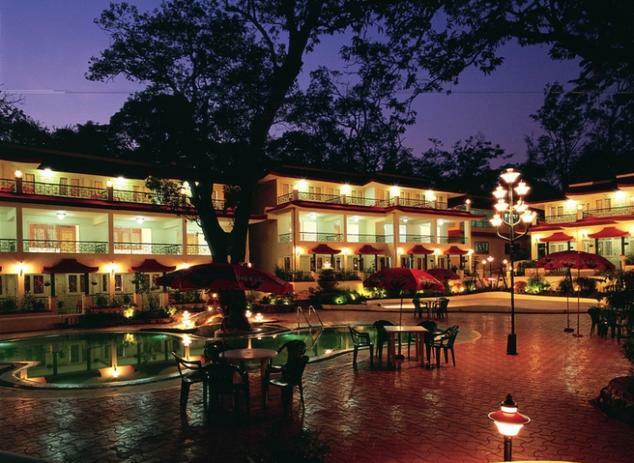 The resort is located in the scenic surroundings of lush green Western Ghats and offer comfortable and lavish accommodation choices that will impress both local as well as foreign guests. 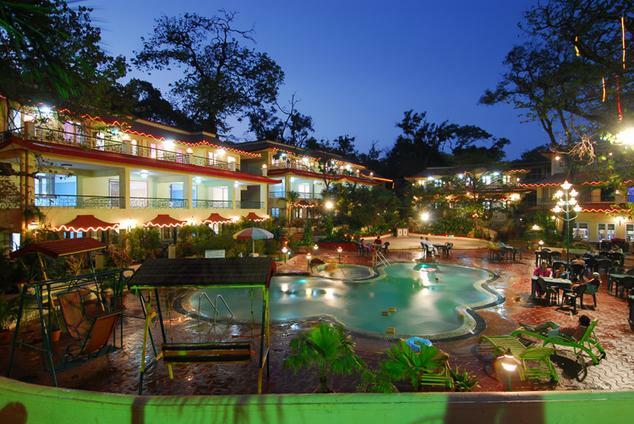 The Adomo resort is located at very convenient distance from popular tourist destinations making it an ideal stay choice for leisure guests. 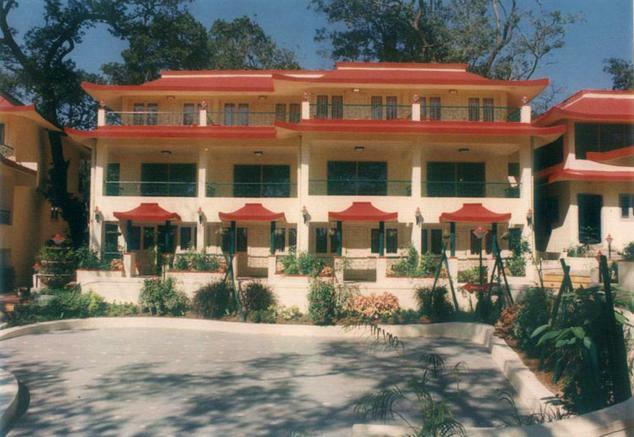 On accommodation front, the Adomo Resort offers five different categories of stay choices i.e., Regent Deluxe Rooms, Regency Deluxe Rooms, Deluxe Villas, Royal Suites and Bungalows; to cater to different requirements and budget range of clients. All the accommodation choices are equipped with gracious décor that complements the natural surrounding beauty and modern amenities. Being an experiential resort, Adomo has developed all the necessary amenities and facilities that guests might need on its premises. In line with that, to cater to the culinary requirements of the guests there is Aroma restaurant, which serves authentic, delectable and healthy Gujarati, Punjabi and Chinese cuisine. 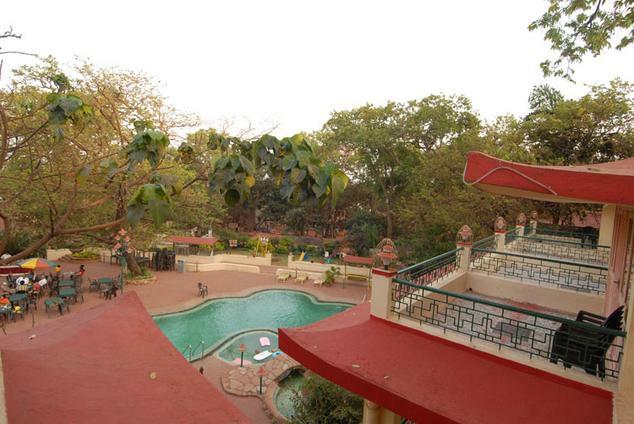 The resort also has a swimming pool, skating ring, Discotheque, conference halls, health club and gymnasium, indoor and outdoor recreational games and others. The resort also organizes regular cultural bonfire nights where guests can enjoy live performances by local artists. If you are an adventure freak, you can request the management to organize activities like sightseeing tours, horse-riding, bungee jumping and jungle treks to keep your engaged. 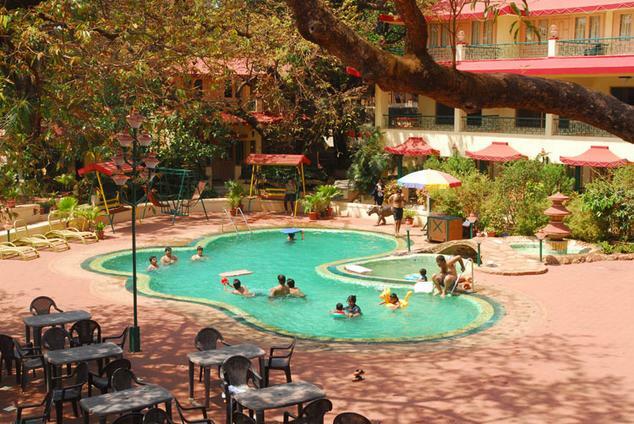 Lavish and well furnished accommodation choices along with host of facilities and activities offered by Adomo, makes it a holistic vacation destination in Matheran. Pamper yourself with best of lavish luxury and premium indulgences while enjoying the scenic natural beauty of Matheran, by choosing to stay at the Regent Deluxe Rooms provided by Adomo Resort. The Regent Deluxe Rooms are the most popular accommodation choice at the resort because they offer best of amenities, mesmerizing view and lavish indulgences all in one package. 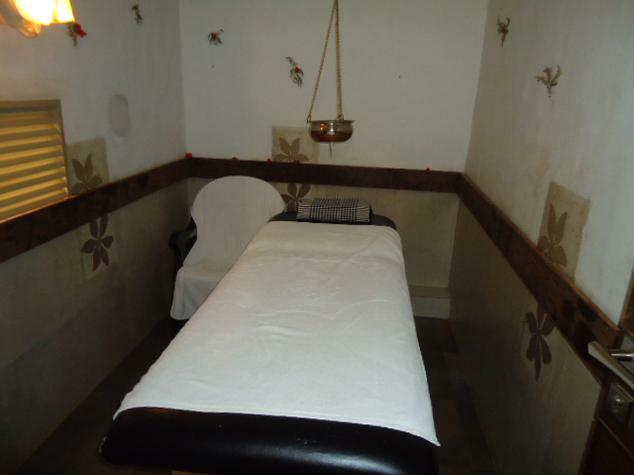 These rooms sport very elegant décor that is inspired by local culture and heritage of Matheran. The interiors have luxurious charm that is enhanced by gracious paintings and superior furnishings that adorn the room. 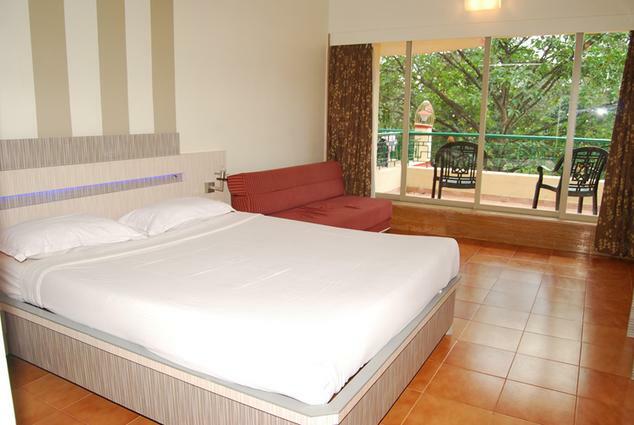 The main bedroom is equipped with plush king size bed along with a comfortable seating unit and wardrobe. 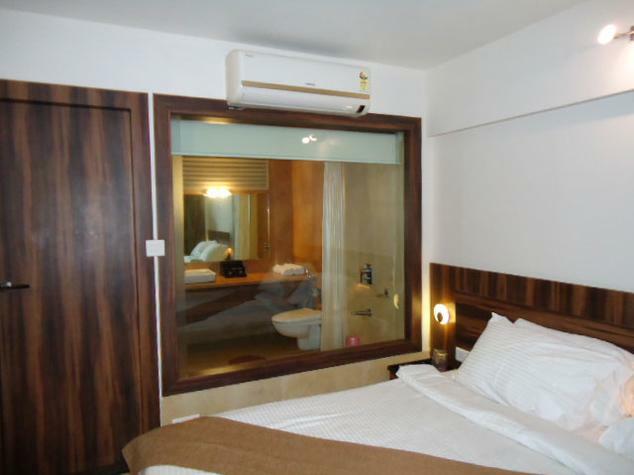 The attached bathroom is lavish in nature and quality bath toiletries are provided with it. The key feature of the Regent Deluxe Room is the balcony from where guests can enjoy the unrivaled view of the nature in all its glory. Other amenities included as part of the package for Regent Deluxe Rooms are LCD television with satellite connectivity and subscription to premium channels, fully equipped refrigerator, hot and cold water availability, tea and coffee maker, private terrace with patio setup, plush beds, wardrobe, comfortable seating unit / sofa and split air conditioning unit. Extra ant and premium; these are the two words that best describe the Regency Deluxe rooms on offer at the Adomo Resort in Matheran. The Regency Deluxe Rooms are equipped with state of the art amenities and gracious décor that give it very opulent feel and charm. The décor has been designed by expert designers keeping in mind keeping in mind diverse requirement of modern day travelers. The interiors reflect the lively ambience of scenic natural beauty that surrounds them with help of local cultural elements and factors. The Regency Deluxe Rooms consist of two queen sized beds with spacious bathroom that is equipped with luxurious fittings and premium bath toiletries. There is a balcony that overlooks the majestic scenic view, allows guests to relax and unwind in the lap of nature. Other amenities provided as part of Regency Deluxe Rooms are LCD television with satellite connectivity and subscription to premium channels, fully equipped refrigerator, hot and cold water availability, tea and coffee maker, private terrace with patio setup, plush beds, wardrobe, comfortable seating unit / sofa and split air conditioning unit. Classy setup and premium amenities are the two factors that make Regency Deluxe Rooms ideal for couples and small families. 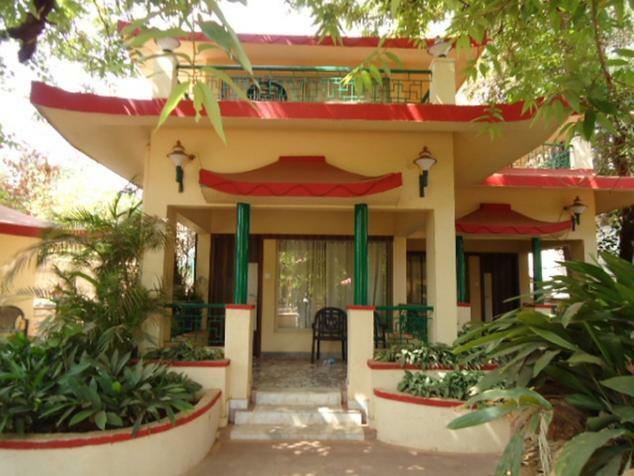 If space and comfort are your prime priorities while picking your accommodation choice for your vacation in Matheran, then the Deluxe Villas offered by Adomo Resort will surely impress you. These Deluxe Villas are aimed at guests who value their space and luxuries. The villas are structured in unique fashion that opens up ample space on the inside offer enough room to guests for their daily activities. As the name suggests, the villas are deluxe in nature and therefore sport very opulent décor and classy interiors that reflect local culture and heritage of Matheran. The interiors are enhanced by premium furnishing and superior fittings, which along with gracious paintings give the villa very regal feel and appeal. The Villa consists of two large bedrooms with attached bathrooms along with sit out verandah that overlooks the majestic swimming pool. Being a deluxe villa, the resort has included all modern amenities in the setup, the main among them are LCD television with satellite connectivity and subscription to premium channels, fully equipped refrigerator, hot and cold water availability, tea and coffee maker, private terrace with patio setup, plush beds, wardrobe, comfortable seating unit / sofa and many more. The opulent charm of Deluxe Villas has helped it earn rave reviews from guests. Matheran is often referred as the ‘Queen of Hill stations’ in tourist circuit; keeping the regal charm of the city alive at Adomo resort are the Royal Suites. These Suites are designed keeping in mind VIP guests and high profile travelers, who value their indulgences and luxuries. Therefore the Royal suites are provided with best of gracious décor and classy amenities to keep guests happy and pampered during their stay here. The Royal suite consists of a spacious living room, two regal bedrooms and private terrace from where guests can enjoy the natural scenic beauty that surrounds them. The suites sport very classy décor and opulent interiors that is enhanced by premium fittings, superior furnishing options and artistic paintings. To keep guests pampered, Adomo resort has included several modern amenities and facilities in the Royal Suites. The main among them are LCD television with satellite connectivity and subscription to premium channels, fully equipped refrigerator, hot and cold water availability, tea and coffee maker, private terrace with patio setup, plush beds, wardrobe, comfortable seating unit / sofa and many more. The premium features and imperial charm of the Royal suites make them stand out and apart from any other accommodation choice available in Matheran. Holidays are all about spending time with the people you love the most and cherishing memorable moments with them. Keeping this philosophy in mind, Adomo Resort has developed Bungalow styled accommodation choice that is ideal for families and group travelers. The Bungalows are holistic accommodation choice that caters to diverse requirements of different members of group or family; be it children or adults. Carefully crafted by expert architects and decorators; the Bungalows are sure to impress guests. The Bungalow consists of a manicured lawn or sit out area, where kids can play, a spacious living room with ample space for all the guests and six well furnished bedrooms to host all the members of the group. 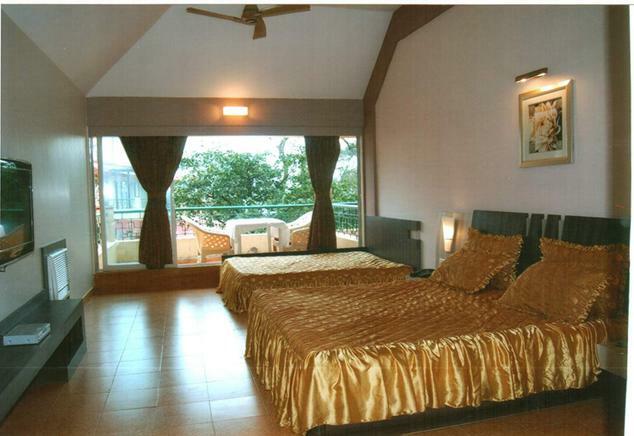 The Bungalow has opulent décor and reflects the local culture and scenic location it is situated in. The interiors are adorned with classy artifacts and gracious paintings along with premium fittings that give opulent charm to the décor. 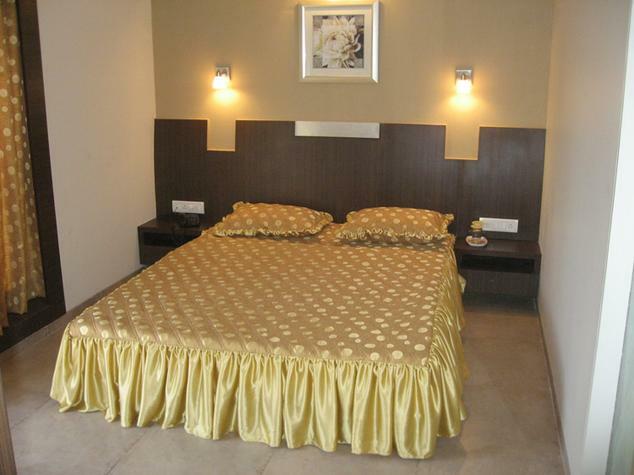 Moreover, the rooms are also equipped with premium amenities and modern facilities to keep guest pampered. The main among them include air conditioning, LCD television with subscription to premium channels, telephones, hot and cold water availability, private sitting lounge facing the azure swimming pool and others. 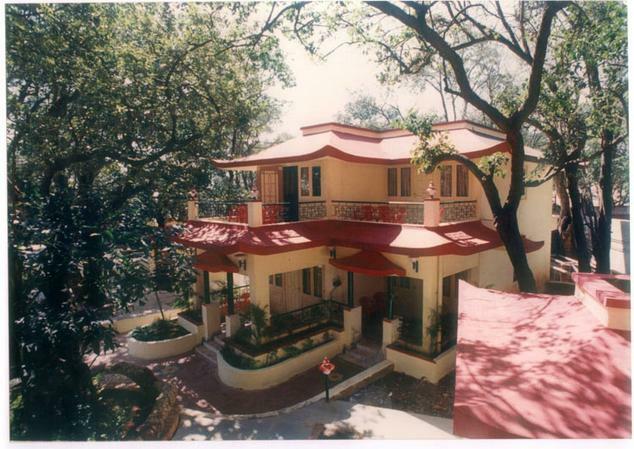 The spacious nature and ability to host an entire group are the main USPs of Bungalows offered by Adomo Resort, Matheran. Experience the joy of dining and savoring in your favorite dishes in picturesque setting by choosing to dine at the Aroma multi cuisine restaurant at Adomo Resort in Matheran. 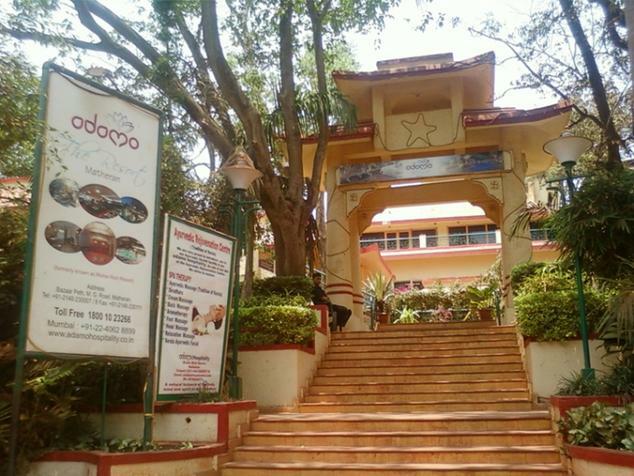 The Aroma diner is located on the property of the resort and therefore grants guests easy access to quality, delectable and healthy food without having to move out of the hotel. 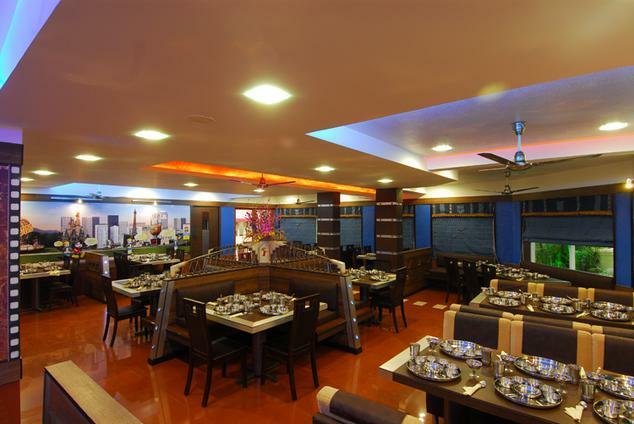 The restaurant specializes in lip smacking Gujarati, Punjabi and Chinese cuisine along with host of local delicacies. All the dishes served at Aroma are prepared using organic ingredients and rare spices that bring out the authentic flavor of the preparation. The local dishes are cooked as per traditional recipes using specific techniques, which have made them one of the hot favorites on the menu here. This all day diner is open 24 x 7 and serves guests at odd hours of late night or early morning. 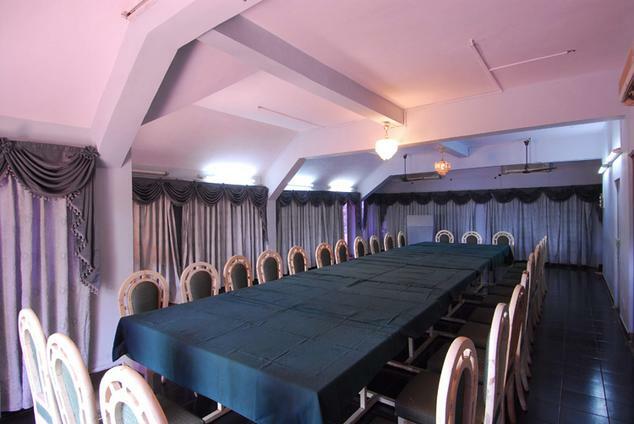 The comfortable seating arrangement and mature décor of the restaurant makes Aroma ideal dining venue for casual lunch of a formal dinner occasion. Patrons will also appreciate the attentive staff and quick service standards of the restaurant.